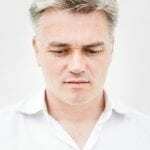 On Monday 4 February, Edward Gardner makes his Royal Opera House debut in a new production of Janáček’s Katya Kabanova. 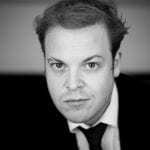 Music Director of English National Opera for ten years, Edward has an ongoing relationship with the Metropolitan Opera where he has conducted productions of Carmen, Don Giovanni, Der Rosenkavalier and Werther. Elsewhere, he has conducted at La Scala, Chicago Lyric Opera, Glyndebourne Festival Opera and Opéra National de Paris; while opera-in-concert continues to be a part of his work with the Bergen Philharmonic, including an acclaimed Peter Grimes at the Bergen and Edinburgh International Festivals. Edward’s extensive discography includes three highly-acclaimed volumes of Janáček’s orchestral works, recorded with the Bergen Philharmonic, where he holds the position of Chief Conductor. Among the cast are fellow Askonas Holt artists Andrew Staples (tenor) and Dominic Sedgwick (baritone). Andrew Staples makes his role debut as Tichon, having recently made his debut as Froh Das Rheingold at the Royal Opera House earlier this season. Engagements this season include Handel’s Messiah for the New York Philharmonic, a European tour of St John Passion with the Orchestra of the Age of Enlightenment and Sir Simon Rattle, Britten’s Nocturne with the Swedish Radio Symphony, and a tour of Britten’s War Requiem with the Orchestre de Paris. Further future engagements include his first Idomeneo, a return to the Lyric Opera of Chicago, and his debuts at the Deutsche Staatsoper Berlin and the Metropolitan Opera. AH Rising Star Dominic Sedgwick, who is in his second year on the Royal Opera’s Jette Parker Programme, sings Kuligin. This is the first of two new productions in which he appears this season, the second being Deborah Warner’s award-winning production of Billy Budd, in which he sings Novice’s Friend. Performances of Katya Kabanova run from 4 to 26 February. More information available here.